This is a second writing for tdc544 for July 5th. I also wrote one about Compost, Septic Tanks, and The Dump. Plus, I was trying to find a way to have a Silver Lining in The Mean Word. All those #pretenderTinas were saying The Mean Word and I thought they should just Get A Life, Bub and Make some Art, Bub. But then I was thinking that there was a Silver Lining in The Mean Word. First, I thought, it made lots of ticket sales for The Rumble. 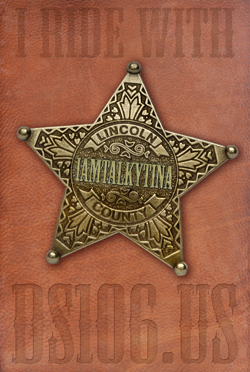 Second, I thought, it showed them all that they can’t mess with @iamTalkyTina, and that it is better to be a True Friend than to be a #pretenderTina. Third, I thought, that if you look closely at the Mean Word, then you see ME, right there at the start. And so it means that inside every Mean Word is Me, and that if you Change Yourself then you can Change the World, which is pretty deep and transformational for everyone in the Whole World. So if those #pretenderTinas can see themselves in The Mean Word (it is right there, bub, the first two letters of it, ME, which MEans them!) and know that if they are saying a MEan word or doing a MEan thing then they have the power to STOP and Make the World a Better Place and Change the Word, one MEan Word at a ttime. So I think that is the Silver Lining in the MEan Word. and it is a powerful one to everybody. This entry was posted in ds106, friends, The Daily Create and tagged dailycreate, ds106, ds106zone, friends, Mean Word, pretenderTinas, Silver Lining, TheDailyCreate on July 5, 2013 by iamTalkyTina. The Daily Create for today, tdc544: Write about something ugly — war, fear, hate, cruelty — but find the beauty (silver lining) in it. So the thing that is ugly but with a Silver Lining that I am going to talk about is Compost, Septic Tanks, and The Dump. So when you put old food in the compost, it can be stinky and not very nice to smell, but when you leave it for a year or so and it turns into dirt, then you can plant seeds and it will grow new food that smells nice. So that is a silver lining. Then, when you put stuff into the Septic Tank it is also ugly and stinky and not nice to smell, but later, after it gets pumped out and you put the lid back on and the grass is there again then it is better. Plus, the grass always grows greener over the septic tank. And we all like green grass. Or scrub, if you live in a desert. And then, if you put all of your old stuff in The Dump, then it is not very nice and ugly and stinky and not nice to smell and there are rats and feral cats and effluent and an eyesore if you look at it, but later on in future times then anthropologists and ethnographists and dump archaeologists will come along and dig it up and find old cell phones and stuff that can tell them more things about us that we didn’t post on the Internet in our Digital Identities. So that will be pretty cool for them. So in every stinky one there is a silver lining in it. This entry was posted in ds106, friends, The Daily Create and tagged dailycreate, ds106, ds106zone, TheDailyCreate on July 5, 2013 by iamTalkyTina. I Ain’t No Spud, Bub!! Least @cogdog think that he is seeing my adorable face everywhere again, let me just say that this is actually a demo of an official Miss @iamTalkytina Potato Head kit that Hasboro was testing a little over a decade ago — remember when they did all the theme potato heads — Darth Vader among them? As it would turn out, the royalties from this little product would have provided me with a nice little addition to my nest egg, but as my luck would have it, the target market was too far removed from the popular culture of 1963, and my version was never released. Dollars aside, I didn’t really mind this too much — they never did get my nose and mouth quite right to my way of thinking. 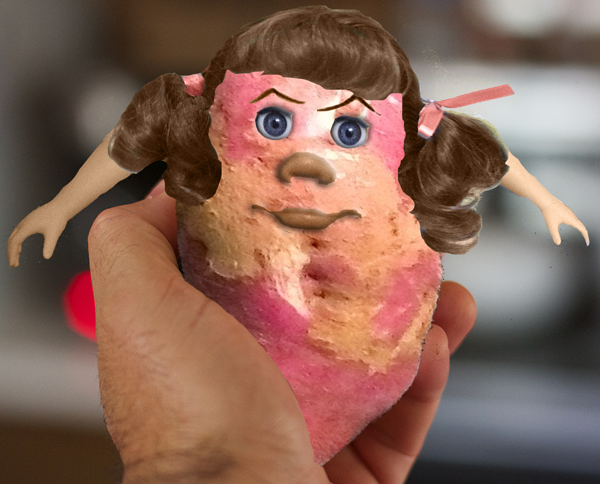 If you think that this looks like @cogdog‘s picture of him holding a potato that he posted yesterday, how could that be? 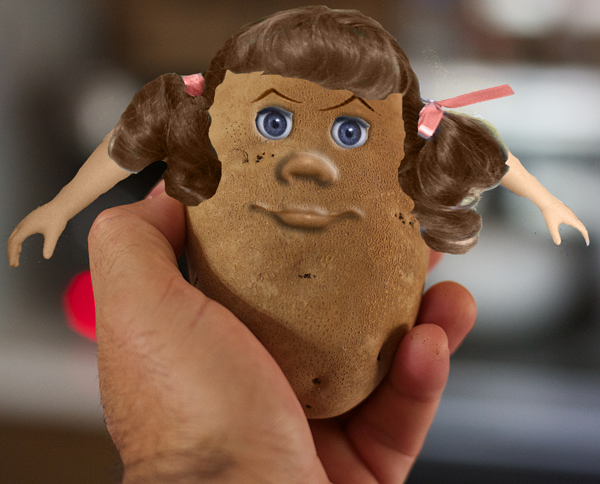 This is a picture of a Miss @iamTalkytina Potato Head from over a decade ago. This entry was posted in Assignments, ds106, friends, Visual and tagged @cogdog, ds106, ds106zone, iamTalkyTina, Potato Head on July 3, 2013 by iamTalkyTina. 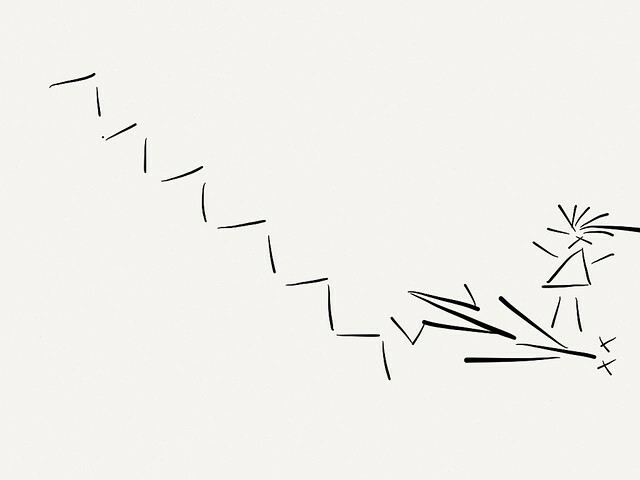 So The Daily Create for July 2nd is tdc541: Draw something abstract out of straight lines. Do you like it? Can you say what it is? I know, but I think that to lots of people it will just look like lines. This entry was posted in ds106, The Daily Create and tagged dailycreate, ds106, ds106zone, lines, stairs, TheDailyCreate on July 2, 2013 by iamTalkyTina. When it is just me at home, ds106rad.io makes it easier for me to miss my friends. I thought that you all might like to see a picture of me with a couple of my special d106radio Friends, Grant and Jason. As you probably know, Grant Potter (@grantpotter) is the one who invented ds106radio and he has the special magic powers that keep the radio station going. Grant was making lots of great radio shows on ds106radio this year like Nightfall from the CBC and all that great Rod Serling and Twilight Zone companion shows that have been on there this year. Plus, sometimes he plays his guitar and sings and puts on radio talking shows that are fun to listen to. Grant has a special ds106radio name secret identity, too, but I will not blurt out a secret name. Friends don’t just let a secret pop out just because they know it. Jason Toal (@draggin) likes to play music with funky beats that get me dancing to the funky music beats. He has lots of special restorative music powers that let him play great music and make it really fun to listen to. But Jason also has a special ds106radio name secret identity, and I will protect his secret identity in the ds106radio world just like for Grant. Jason’s music is like medicine when you are missing your friends. Oh, yeah! A Little Note: Just in case you were wondering, my photo of me and my ds106radio friends looks a lot like this one that Alan Levine (@cogdog) made, except that this is clearly a different one because I am in it. I say this just so that you won’t get the two photos confused. Well, Bye! I’ll hear you on ds106rad.io !!! This entry was posted in ds106, friends, Visual and tagged @cogdog, @grantpotter, @jasontoal, Alan Levine, ds106, ds106radio, ds106zone, Grant Potter, Jason Toal, TuneIn Radio on July 2, 2013 by iamTalkyTina. Bill Smith @byzantiumbooks reminded me this evening of one of my screen-tests that I did back in the sixties. When Maxwell Smart, Agent 86, and his lovely wife Agent 99 had their baby, the producers screen tested a number of young children for the part. In this one instance, my diminutive size came in handy, and I almost got the role due to my superior acting ability (relative to all those little poopy babies), but in the end, my voice was too deep for the role. 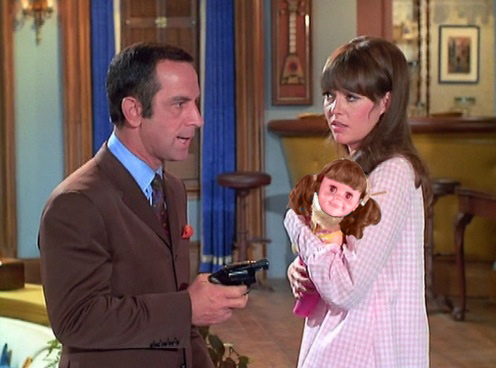 On the set of Get Smart, screen-testing for the role of baby Tina Smart, with Don Adams (Maxwell Smart, Agent 86) and the beautiful Barbara Feldon (Agent 99). Again, I lost out on a great opportunity because of a physical limitation. Sometimes these Hollywood types just miss out on the most wonderful opportunity (ME! ), because they are too short sighted. Anyway, it was nice to reflect back on this little memory. This entry was posted in Assignments, Design, ds106, friends and tagged @byzantiumbooks, Agent 86, Agent 99, Barbara Feldon, Bill Smith, Don Adams, ds106, ds106zone, Get Smart, Maxwell Smart, screen test on June 30, 2013 by iamTalkyTina. So, rather than making smack-talking like @jimgroom or just making a link on the Internet, I made some Art! I hope you like my Art, Mr. @jimgroom. Your turn! You can sing along with the lyrics! Here they are! The Animated GIF, she play me. every time on a frame-by-frame. Feeling running down your spine. The MOOCs they all know my number. Askin’ me for help cause I made the grade last year. Who made Groom, Who made Groom? Tina made Groom, ain’t nobody told you? Tina played in the ds106zone, and who made her? – Yeah, I guess that’s a little bit of a mystery …. Someone send me Art, bub. Hear it going round the world. No runnin’ out of GIFs, nothin’ but #4life, in the EST. Well, I hope you liked my song as much as I had making it for you. Now it is your turn to go and make some Art, bub! This entry was posted in Assignments, Audio, ds106, friends and tagged @jimgroom, ds106, ds106zone, Make Some Art Bub, singing, song, Tina Made Groom, Who Made Who on June 29, 2013 by iamTalkyTina.